The LBQ Women’s Health Conference focuses on the health and wellbeing needs of all LBQ women within Australian communities. The event offers attendees a wide range of opportunities to discuss, engage with and explore these health needs as well as profile new and emerging research, innovative programs and services being delivered to address these needs in our communities. 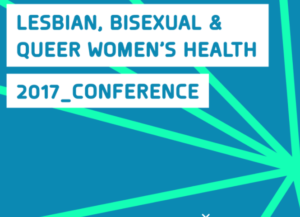 Abstracts and submissions are now open for the 2017 Lesbian, Bisexual and Queer Women’s Health Conference to be held in Sydney on 13–14 July. All abstracts and submissions are reviewed by a selection committee and the final program curation will be managed by ACON and VAC. Submissions close 6pm March 8, 2017. Notifications will go out early April 2017. For more information, see the LBQ website.